Home World News DUI charges,Against 19-year-old woman dropped in Moss Landing double fatal crash. DUI charges,Against 19-year-old woman dropped in Moss Landing double fatal crash. Prosecutors have dropped charges of driving under the influence in a March double fatal crash after the driver’s blood tested negative for pain medications and inconclusive for marijuana. Lynnea Hernandez, 19, was driving a Lexus SUV south on Highway 1 near Molera Road on March 21 when she threw a cigarette out the window and accidentally steered into a Mazda 3 driver headed north on the highway, according to the California Highway Patrol. The driver of the Mazda, Nikolas Agustin Malliarodakis, 24, of Prunedale, was killed in the crash. 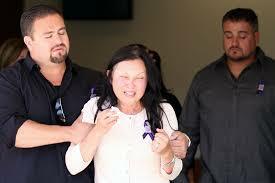 Lillianne Scott, a 19-year-old from Colorado, was one of seven women in the Lexus SUV. Scott died in a hospital two days after the crash. Hernandez was severely injured. Six of the seven women in the SUV said they had smoked marijuana before the crash. Hernandez also told authorities that about 10 minutes before the crash she took hydrocodone that had been prescribed to her. “The blood work that came back was negative for Vicodin and the test for marijuana was inconclusive,” said Hernandez’s attorney John Coniglio. Hernandez pleaded not guilty to an amended complaint filed by prosecutors in Monterey County Superior Court on Wednesday. The new complaint does not contain charges of DUI resulting in death. Hernandez has remained free from the Monterey County Jail since she posted $3 million bail. 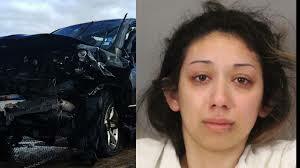 She continues to face multiple counts of vehicular manslaughter with gross negligence and reckless driving causing injury. The preliminary hearing is scheduled for 10 a.m. Dec. 16 in Monterey County Superior Court.